I Am Momma - Hear Me Roar: She's here! Congratulation from Germany, my english is not very well but I wish you and your Elsa a good time together. Oh my goodness. She is so precious! Congratulations. Baden's face is so sweet. Poor kid, babies are never what anyone expects, especially for big brothers! Have an awesome summer with your sweet family! What a beautiful child -- she looks just like you! Congratulations and have a wonderful summer! Yay so glad she is here, safe and she's beautiful!! Rest up when you can!! 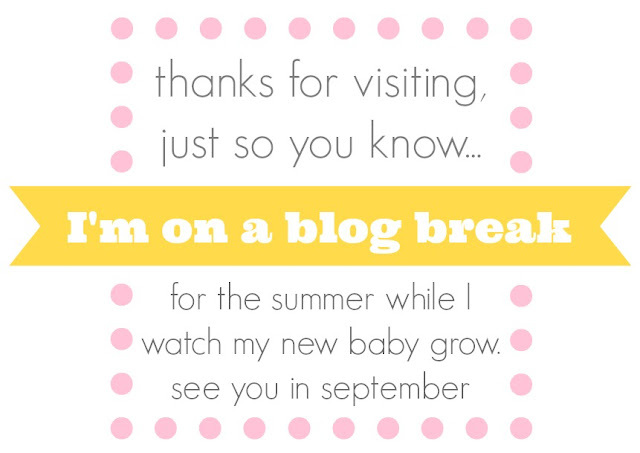 Enjoy the small babyness, it goes quick, even if you are exhausted;) see you in September! Congrats! I wish you and your family a great summer with little Elsa. Love from The Netherlands! Congratulations! She is BEYOND precious and so beautiful! and a star appeared in the sky. She is so wonderful!!! I wish you all the best. you are beautiful (as always) even after labor! i'm glad everything went smoothly and you have a happy healthy baby girl. you deserve a break for the summer so enjoy every moment with her. congratulations! You look stunning, and she is perfect! congrats! Congratulations! She is beautiful (and so are you) and she looks perfectly perfect. Have a wonderful summer. She is adorable. Congratulations!! You look great by the way! I wish I looked that well after having my babies. Have fun this summer. Oh wow! She looks a lot like you in the picture of her in the dress and hair band. Yay! Congratulations! She's so sweet! Enjoy your summer break! How absolutely wonderful! Congratulations to the entire family! Congrats! I hope all are well in the future! She is amazing! So glad the delivery went smoothly and hope your recovery does as well. I see a hint of pride and love in Baden's face-- he is going to be an awesome big brother. Congratulations to you and your entire family-- and Happy Birthday Elsa!!!!! Congratulation! She is perfect! Enjoy her sweet baby smell. Thanks for sharing your beautiful family. Ahh! I'm so excited. 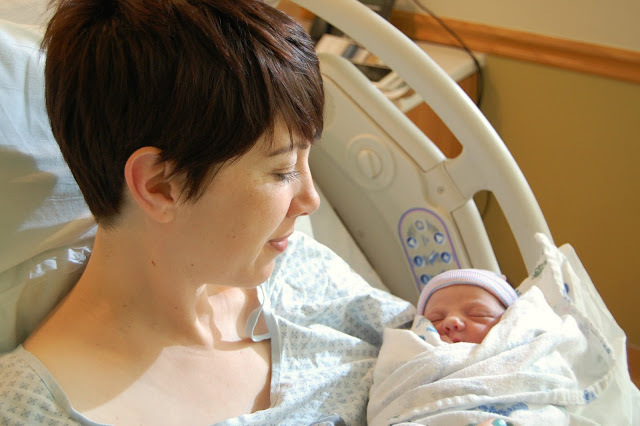 When I saw your blog post pop up, and I saw "she's here," I thought, "Oh Good!" Congratulations! She is gorgeous. I hope that the adjustment and healing process goes well, and I'm so glad you had a good delivery and labor! Have a fantastic summer with your family! What wonderful news!!! Congratulations!! So glad everything went so well!! Congratulations! She is beautiful. Have a wonderful summer kissing that sweet little face! Congratulations! I hope you all are doing well. 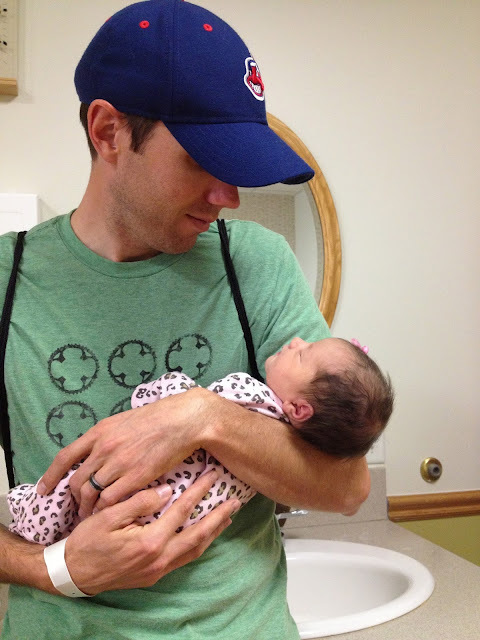 Thank you for sharing a picture of your little angel with us. That makes me all teary. Congratulations!! She is beautiful. I hope you have a beautiful time watching her grow (and that she sleeps well so that you can recover!). Congratulations!!! Enjoy your time when she's so tiny-they always grow too fast for my taste! 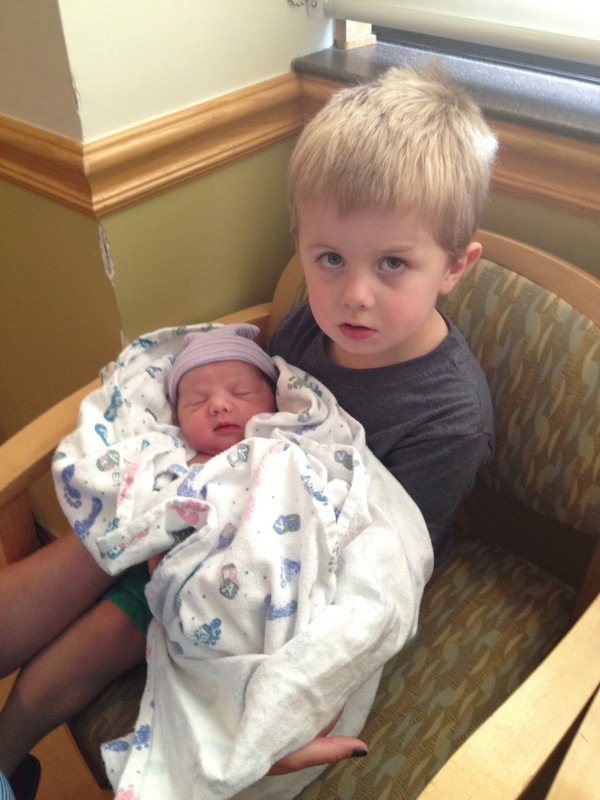 My son always responded well to calling his little sister "his baby". Sometimes he gets possessive of her, but it's all love. You both are beautiful! Congratulations to your entire family! Congratulations. she is beautiful. I just may have to figure out instagram s I can keep watching her progress. Apso, how can anyone look like you do after giving birth>??????? She's a doll...enjoy your blog break! Congratulations from France!! Wishing you and your family joy! Congratulations from Germany! Have a nice summer!! Congratulations!!!!! Many-many hugs from Belarus!! I wish you good summer holidays!!! Have a good time with your 3 children! My little one arrived on 17 of May. I'll be waiting for September to learn how to entertain my boy, because I find you an excellent mother! Good wishes to your family! Congratulations to you and your family on he birth of your beautiful little girl. 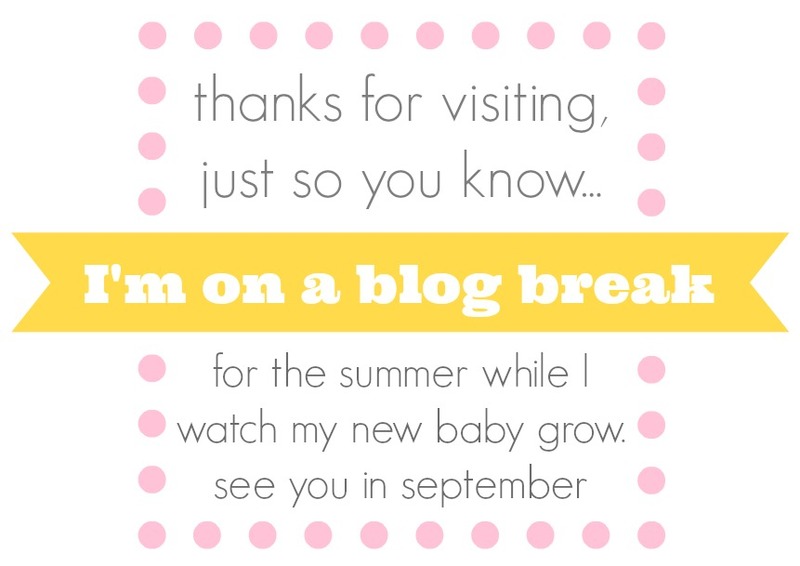 I hope that you all enjoy your summer break, enjoy the time you spend with your three beautiful cherubs. I was SO excited to see this post! She is so beautiful! Congratulations on such a beautiful family. Have a great summer! So HAPPY for you! Girls are so fun! Elsa is a beautiful!!! Have an amazing summer!!! So beautiful, and all that hair is so fun! Congratulations! Enjoy your summer break and that precious little newborn. Congratulations! Beautiful pictures! Enjoy your summer, you deserve this time with your family! Congratulations!!! such a sweet little baby! Congratulations, Cheri!! She is such a doll! You're going to love having a girl after 2 boys (same as me). My daughter is almost 4 now, and I still am in awe that I actually have a girl to dress up and play with! And give Baden some time- my second son has the most amazing relationship with his little sister, so hopefully you'll see the same! SOOO SWEET! :) Congratulations! Enjoy your break with the sweet baby girl! she is so pretty!! congrats momma!!! Oh Cheri! She is gorgeous! Congratulations!! She is gorgeous. Congratulations to you and your family. Enjoy the summer and soak in all that "sweet new baby" goodness. Congratulations and best wishes! She is really beautiful and just perfect! Have a great time together. And I love Baden's face on the photo! He looks like just having realized what the following years will bring to him with this little girl! ;) Great. Absolutely beautiful little girl! Congratulations to you all. Awww, precious little pumpkin! Congratulations! Congratulations to your wonderful sweet little daughter. I'm sure she will only make you happy! Congrats, she's darling! Thanks for sharing the photos. Enjoy your break and your sweet blessing! Congrats, it's so exciting to see those pictures, as I've been following your pregnancy I've been just behind you in my pregnancy. Looking at those pictures reminds me of how little time I have left until I'll be holding my little on in my arms. Only 4 weeks to go (give or take). I'm so excited, I picture my little one with lot's of Auburn hair just like her daddy had when he was born... Here's hoping! Have a fun summer! Not going to lie I'll miss your blog for the summer, but I'm glad you're taking the time to relax and get into the swing of things as a family of 5! Take care of yourself momma... and like everyone keeps telling me sleep sleep sleep when you can! Muitos Parabéns... a Princesa da casa é linda. Desejo muita saúde para ambas... Fica feliz e felicidades!!! Congratulations from France ! You're both beautiful ! Congratulations on your beautiful baby and, you look great! Congratulations! She is beautiful. My third is also a girl and my two boys adore her so much they want baby #4 to be a girl too! Just wait she will wrap them around her little finger. Dear Cheri, congratulations from Brazil! Parabéns! Gabi. Congratulations!!! She's beautiful just like her mom. Congratulations to you all! She looks adorable! Enjoy the summer with her! You both look beautiful! Congratulations! Congratulations to you and your entire family! Beautiful girl and beautiful pics! She is precious! Congrats! And...you are stunning! Enjoy your time with your sweet babe. What a beautiful little doll baby! I'm so happy that you were blessed with another baby, and a girl at that! They are SO fun! Congratulations and enjoy your summer with your baby and boys! Baden's face is hilarious! Congrats and enjoy the summer! You look wonderful after giving birth. How did you makeup stay in tact ;)? Congrats on the beautiful baby! Enjoy your summer break! Just found your blog when looking for a purse pattern. Congrat's on the new addition to your family. I am predicting that you will come up with some pretty neat girly things. Have you ever had a fabric shower? 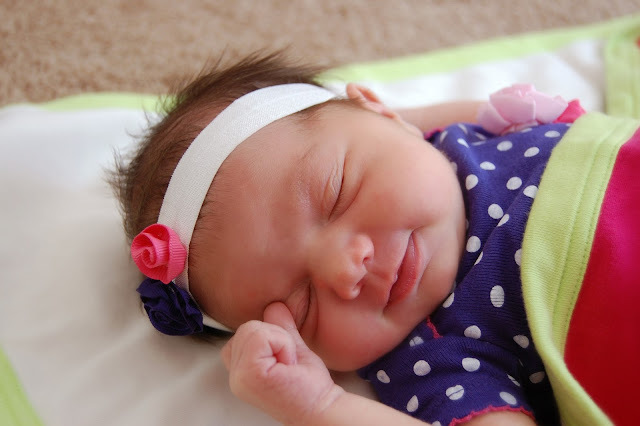 Readers could send you fabric for your new daughter? Congratulations! She is beautiful! Ten years ago, I finally had a girl after having 2 boys, and we also named her Elsa. Our Elsa looked just liked I pictured her as well. I imagined a little blonde headed girl bouncing around the house at about age 2-3. Yep, that's what I got. She is now 10 and beautiful. Have fun with your little girl! Hey there, just dropped in to wish you CONGRATULATIONS!! Enjoy the sweetness, cause I can testify that tis true, the days are long but the years are short. Loving your blog!!! And congrats on your new edition, she is beautiful! She is darling ! Those boys will fall in love with her in no time ! 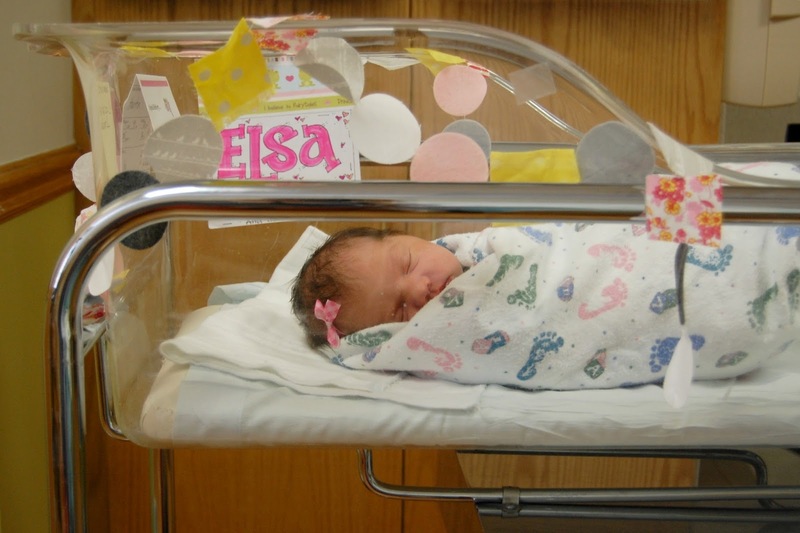 Long overdue Congrats on sweet Elsa! She is so sweet and beautiful. I hope you are enjoying your summer. Congratulations! Your daughter looks beautiful. Hope you and your family get some rest and enjoy this very special time! I can hardly wait to see that baby girl and hear what you have been up to! I think she looks like Rex in this baby shot so I'm excited to see if that has changed. I'm also excited to hear what you think about having a girl, do you feel it's different? I'm glad you took this time off to love on all three of those babies, but I'm ready for some momma roar!